Manufacturer & Supplier of Nonwoven Geo Textile. 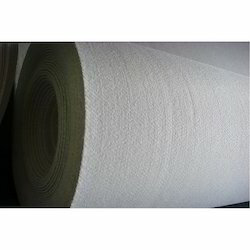 Our product range also comprises of Nonwoven Fabrics, Blazer Fabric and Knitting Yarn. We are one of the leading manufacturers, suppliers and traders of Nonwoven Geo Textile Fabric. The proffered fabric is widely appreciated for its smooth finishing, precise filtration and high resistance to biological organisms. Protection for geomembrane in landfills, geobag manufacturing and soil erosion control are some of the applications of this fabric. Looking for Nonwoven Geo Textile ?